Guys, I’m just going to say it. Wonder Woman and Giganta are the buddy cop movie we didn’t know we needed. In Wonder Woman #66, after a pair of massive—and massively destructive—Titans found their way from the still-missing Themyscira to Earth, Diana made two troubling realizations. The first was that this was kinda, sorta, maybe-a-little-bit her fault. The second was that to most effectively hunt the giants down and get them to stop tearing up the planet, she was going to need help from someone more their size. Someone exactly like Giganta. 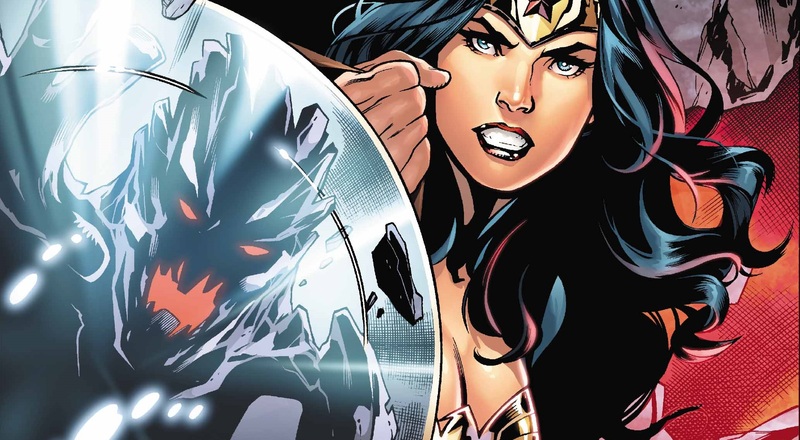 Of course, to get Giganta’s help, Wonder Woman would not only need to convince the skyscraper-sized villain to do something for the greater good, she’d also need to convince her jailer—Amanda Waller. And even if she managed to do both of those things (spoiler alert: she did), they’d still need to find the Titans themselves, who despite being roughly the size of mountains seem to have a puzzling way of disappearing. You can get a sense of exactly how this is all going in our exclusive first look at this week’s Wonder Woman #67, which features the unlikely pair in action along with some banter between them that’s lively enough to rouse a sleeping giant. Maybe that’s the idea? Wonder Woman #67 by G. Willow Wilson, Cary Nord, Mick Gray and Romulo Fajardo Jr. is in stores Wednesday.